As Vice President of Development, Charlie Pond is the company rainmaker. Since starting his career as an architectural CAD draftsman, Charlie has had the opportunity to work in just about every facet of the development and construction industry. From site selection to due diligence, feasibility analyses, client representation, design value engineering, bidding and construction phases – he’s done it all. Charlie has managed the development and redevelopment of more than $200 million of land and building value, along with more than $25 million of LEED certified projects. Because of his diverse background working in a variety of architecture, construction and development firms, he brings a big picture view to any project, helping clients make development and construction decisions with the lifecycle of the building in mind. 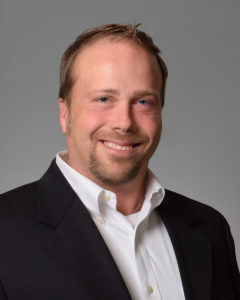 Charlie is the 2017 President of NAIOP Commercial Real Estate Development Association Cincinnati/Northern Kentucky Chapter, and member of Urban Land Institute Cincinnati. Charlie enjoys spending time on his boat, doing watersports, golfing and building tiny houses – anything outdoors! When time allows, he enjoys traveling throughout the Caribbean. Charlie cheers for the Cincinnati Bengals, Cincinnati Reds, University of Kentucky Wildcats and Ohio State University Buckeyes.